This terrific selection of Cellular and Pleated Shades features outstanding combinations of style, performance, and energy efficiency from the best manufacturers in the industry. In all the best products, beauty and function are intertwined. Parasol® Cellular Shades offer a wide selection of today's fashion colors in a variety of cell sizes, opacities and textures. Special shapes and options will cover all those very unique windows, both large and small. No matter the color, shape or size you need, Parasol® Cellular Shades will provide the ultimate in energy efficiency and light control. Highlight the curve of arched windows while maintaining control of the light and privacy of your room with operable arches. Parasol® Cellular Shades are custom fitted to the shape of your windows and allow you to raise and lower your shades to let in just a little bit of light or provide you with a full view. Windows are critical in determining a home’s overall energy efficiency. Uncovered windows account for solar heat gain in the summer and thermal heat loss in the winter. Air trapped inside the cells of Parasol® Cellular Shades provides a natural barrier to the outside elements. Additional cells and fabric characteristics can provide added effectiveness to this insulating barrier. 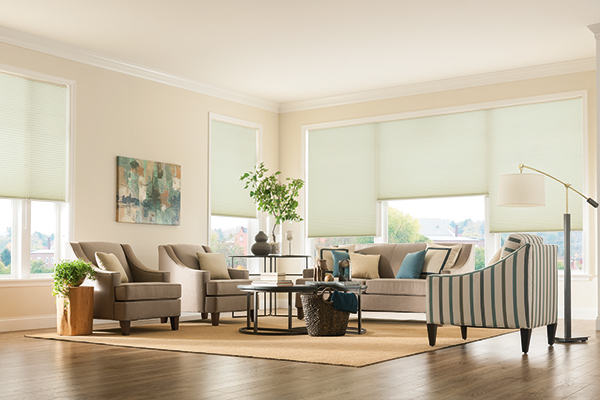 You can rest assured that whichever style and fabric you choose, Parasol® Cellular Shades can help you to manage your energy costs and will look good doing it. PLAY UP YOUR PLEATS! Liven up your space with bold, modern colors and patterns that range from orange to blue to every color in between. 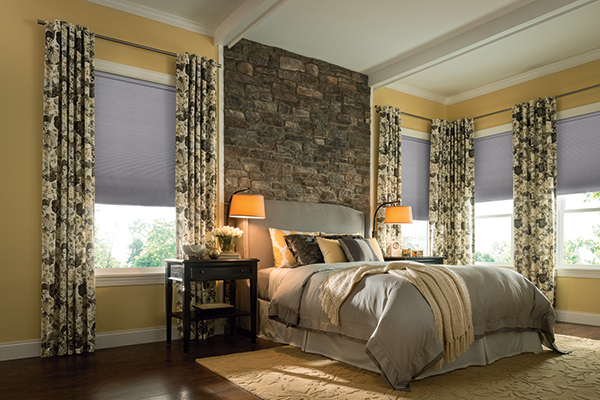 Our cost-effective pleated shades feature Top-Down/Bottom-Up privacy with a view. Available with PowerView® Motorization or our LiteRise® operating systems. Graber® Pleated Shades add depth and structure to traditional shades through evenly spaced, crisp folds of fabric. Available in many stunning textiles, from sheer and light-filtering to opaque, tailor these shades to your preference for privacy and light control. Graber® CrystalPleat® Cellular Shades are a stylish way to boost the energy efficiency of your home. With soft, luxurious fabrics folded into honeycomb-shaped cells, these exceptional shades form an attractive barrier that insulates windows and helps regulate the temperature inside, whether the goal is to keep cold out during the winter or keep heat out during the summer. And because cellular shades conserve energy, they help lower monthly bills.